I still stand very much behind that list, especially Windows 7, which if you’ve been reading any of my more recent entries just seems to get better and better the more I discover new, slightly hidden features that I long should have known about. Only my HP Pavillion hasn’t made it onto my list this year, unfortunately as predicted the device failed and I replaced it with a fine Sony Vaio laptop which has taken its place rather well – it did mean that my dip into the world of tablets was short lived and I’ve not seeked out a replacement device despite the flood of tablet computers in the latter half of this year. I’m very late to this party, the XBox 360 has been out for quite some time, but despite being tempted a few times, I never quite made the decision to purchase one. However, when I needed a Microsoft Media Centre Extender device and the added lure of “Halo: Reach” (a game title I fell in love with when the original XBox came out), the timing was just right. Its a delightful device and something that does everything which is expected of it for a very reasonable price tag (especially when compared to the costs of said Media Centre Extender device, which obviously doesn’t include a games console). The games are as with every console hit or miss depending on your tastes – but the work Microsoft have put into the device itself is outstanding. The Kinect has obviously breathed further life into the XBox 360 this Christmas and whilst I don’t intend to purchase one (at least not just yet), Bill Gates desire to move technology from controller and touchy feely to one that reacts to the users very movements and desires has been realised and is a technology that will only grow from here on in – and I have no doubt that Microsoft have all of the patients safely locked up to ensures its future. On the horizon for 2011 one thing is set to dominate and vie for customers attentions in the living rooms across the land – and its not 3D TV; it is instead Internet Powered Television. Apple TV has been around for years, but they’ve recently relaunched the product. Not to be outdone, Google have also been developing Google TV. Both products are designed to replace your cable/Sky/Freeview box as your source of television content and mix in a healthy dollop of Internet services (i.e. read “social networking”). However, looking beyond the devices that sit on your television stands below your flat screen TV and its clear that the Internet is already changing to ready themselves for this burst of Internet content like never before. YouTube has been at it for years of course, but the rise of Netflix in the US for streaming movies, has bankrupt old movie renting media company “Blockbuster”. I’ve recently discovered and been playing with the streaming abilities of Microsoft Media Centre to watch my content from my Media Centre PC from my laptop when I’m not home. Even further beyond that, you need to look at the role of the ‘television companies’. Microsoft added an on-demand section to Media Player using its Silverlight technology. The BBC completely re-launched their iPlayer on-demand services and other smaller companies dipped their toe into the water. Arise “TechCrunch TV” – a sister site to the popular TechCrunch blog. Admittedly its specialist content that is shown on TechCrunch TV (anything related to Web companies and technologies, IPOs and raising money from angel investors, etc), but that’s entirely the point of on-demand Internet TV; the ability to stream the content you as the customer/user wants to watch, when you want to watch it. I’ve enjoyed many times this year, two of my favourite writers (Paul Carr and Sarah Lacy), present their shows on TechCrunch TV and I’ve admired and been amazed by the quality of this streamed content. There is more of it to come in 2011 and beyond, especially with the push from Apple and Google to bring this tech front and centre into the living room, but I’ve no doubt that others will be creating their own TV streaming companies soon. Undeniably the craze of 2010 in the world of Tech and beyond (in toy stores and movie production companies back offices), “Angry Birds” has really taken the world by storm this year and that is why it is absolutely impossible not to include it within my Top 5 – that and I’m completely addicted to it. Keeping it absolutely as simple as possible has been the success of Angry Birds, very much like “Lemmings” (which I often compare it to) or “Worms” before it . Simply fling your birds at those cheeky, annoying well protected green pigs and hope for the best. What fascinates me more than anything else though is the origins of this annoyingly simple game – the smartphone. The last mobile phone game that this many people played can only have been “Snake”, another annoying simple game bundled into just about every Nokia device that everyone carried in those early mobile phone years. 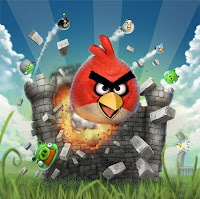 Can Rovio continue to thrill and excite an already frustrated audience with further iterations of the game in 2011? I think by the latter half of next year the star maybe starting to fade, but that won’t mean you won’t see the game on other platforms and devices or in other guises. Like “Lemmings”, this game is set to be a cult classic for a few more years yet. What can I say? 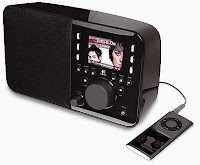 If I was impressed with the XBox 360’s integration features, the Squeezebox Radio continues that trend and does it just as well, especially as it already plays so nicely with my existing Squeezebox Duet device which I've adored for such a long time now and continues to by my primary music playing device. But the Squeezebox Radio simply works and is perfect as an accompanying device that sits nicely on my bedside table – but with its simple styling and deliciously easy to use buttons, it could quite easily live in the kitchen, living room or even be moved outside during the summer months (providing its within wireless signal of course). My number one for 2010 may first appear like a strange choice. Its not something that you can touch or feel or in fact really ‘see’, but it does something vastly important and I believe lays the groundwork for the future. If Windows 7 rounded out my list last year, undoubtedly Live Mesh should do so this year. Live Mesh is a small, yet simple piece of software that Microsoft bundle into its “Live” platform, which includes the Live Messenger, Live Photo Gallery (which is absolutely genius too by the way), Live Writer and a bunch of other goodies. What Mesh does is allows you to pick a folder on your PC or laptop and sync the contents onto a cloud based storage location, accessible anywhere in the world on many devices. So enchanted I am with what the ‘the Cloud’ has to offer going forward, I wrote a lengthy blog post on the subject here and the more I read about the ‘Microsoft Azure’ platforms and the work and effort that is being poured into making it work, the more I become a believer of the future direction the computer industry is progressing towards. Live Mesh is the first step towards that. Its already a great product as it stands – the backup, synchronisation and ability to access my content anywhere at any times – a wave, or a small taste if you like, of the future and that’s why its my number 1 of 2010. Now bring on the future of 2011….